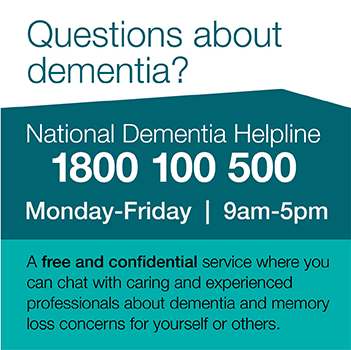 Representatives for Dementia Australia met with the Labor Federal Shadow Cabinet at Parliament House in Canberra to introduce them to the reality of living with dementia. 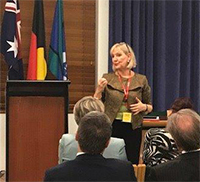 Dementia Australia CEO Maree McCabe and Marina Germolus, Dementia Australia representative who is living with dementia in the ACT, met with The Honourable Bill Shorten MP and his Shadow Cabinet on 23 October. Ms McCabe and Marina both addressed the Shadow Cabinet, with Marina sharing her story on living with dementia. They held a discussion on impact of dementia on the person and the needs of people living with dementia in the community. At the event, members of the cabinet were visibly moved by Marina’s description of experiencing dementia and approached Marina afterwards to express their gratitude for the contribution of her time and valuable insights. Dr Tanya Petrovich, Business Development and Learning and Development Manager at Dementia Australia held a demonstration of Educational Dementia Immersive Experience (EDIE). Members of the Shadow Cabinet had the opportunity to try the EDIE VR headset and see through the eyes of a person living with dementia. Dr. Petrovich shared with the cabinet how the aim of EDIE is to build empathy and make people more aware of the issues faced by those living with dementia.